Smartscape auto-discovers and shows you your complete environment. It provides a near real-time view of all the components and processes in your application infrastructure—so it&apos;s ideal for monitoring the success of rapid deployments. We like to think of problems as stories. A chain of events with a beginning, turning points, culmination, and closure. We can tell you these stories with our Problem Evolution player. It combines and presents all events that contribute to application performance degradation. Instead of sending you individual alert messages for each insignificant or unrelated event, we show you the whole story. You can investigate each issue from the point where it started, through root-case analysis, and all the way to its ultimate resolution. 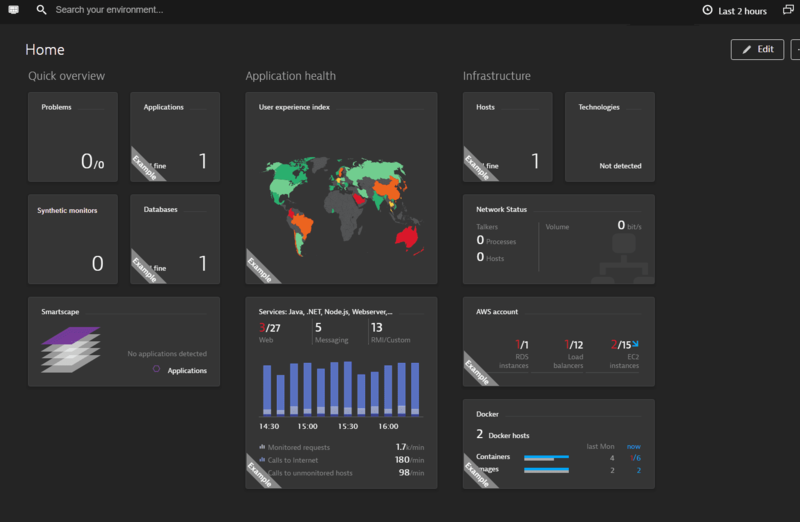 Dynatrace dashboards are completely customizable, enabling you to see everything that&apos;s going on in your monitored environment at a single glance. Dashboards are comprised of custom tiles that show you important measurements in near real-time and inform you of any conditions that require your attention. You can use these dashboard tiles as entry points for deeper analysis of your application health or user satisfaction of your website. Instantly see problem notifications and the source of problems. See crucial measurement values so that you can quickly assess issues. Customize what&apos;s displayed on individual tiles. Group tiles into meaningful sections. 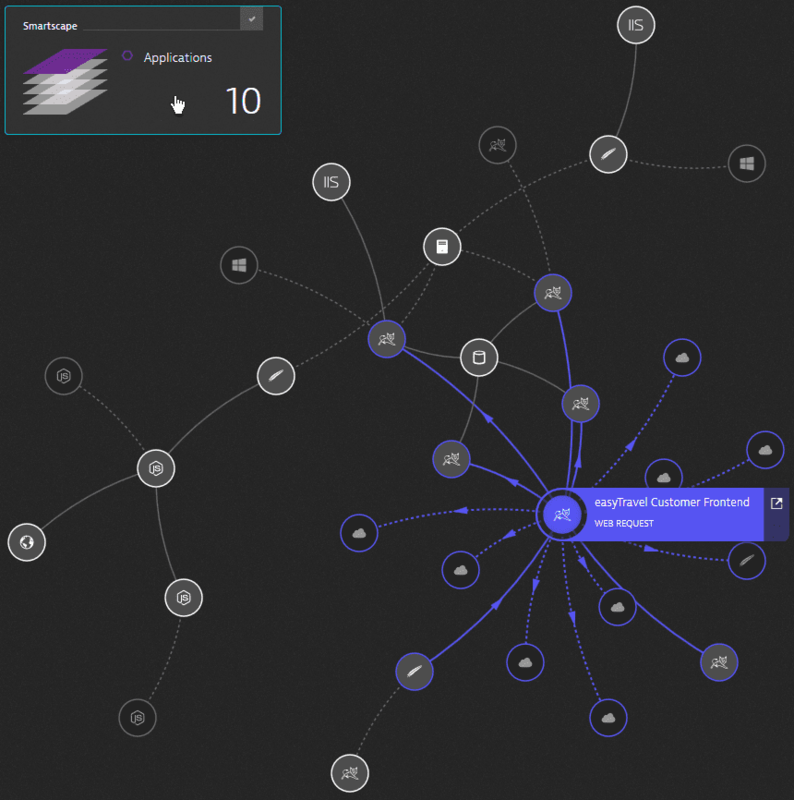 Search for components in your environment by name! Our search box may be compact in size, but the gears behind it give you the power to quickly isolate any component in your application environment. With Dynatrace super search, you can search for virtual and physical hosts, applications, services, processes, and other entities by name! 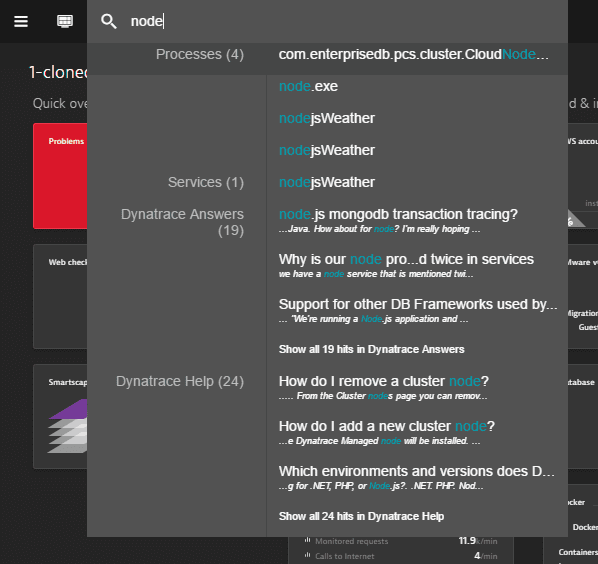 That&apos;s not all—you also get a list of all related discussion threads in our Answers forum and links to all related Dynatrace Help topics and blog posts.